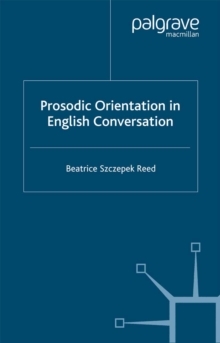 This highly accessible introduction to the prosody and analysis of everyday conversation explains basic concepts and methods of interpretation using a wealth of examples from real-life conversations. 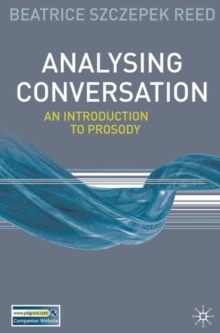 Readers are introduced to the many conversational practices prosody plays a part in through sample analyses, all of which are available to listen to as downloadable audio files on the accompanying companion website: www.palgrave.com/analysingconversation Packed with authentic examples, practical suggestions for analysis, suggestions for further reading and a helpful glossary, this clear and comprehensive guide is essential reading for students and researchers alike. 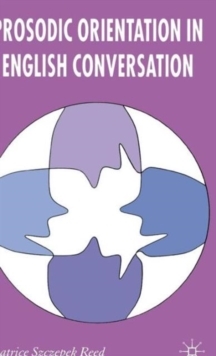 Pages: 272 pages, 272 p.